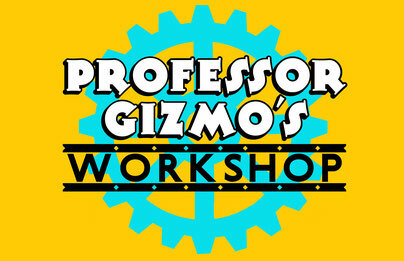 Who's The Original Professor Gizmo? Have a special project in mind? We have worked with schools and art centers to create special event workshops and camps suited to your student's interests and talents. Designing soap box racing cars, 3-D Creation using vintage found books, making Hanukiahs, workshops in 3 color reduction printing, and building balance boards are some of the specialized programs that we have offered.